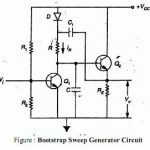 Home / Electronics Articles / How miller sweep circuit is work? 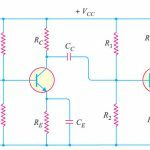 The value of time constant is very large, the discharge current will be constant due to the run down of collector voltage is linear. 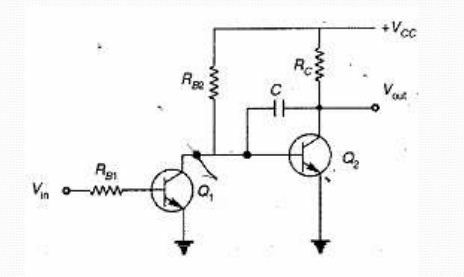 The transistor Q1 turns ON while Q2 turns OFF when input pulse is removed. 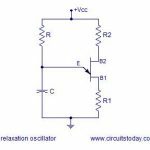 If the transistor Q1 turns OFF the capacitor C is charge quickly through resistor R­C to VCC having a time constant π equal to RCC. The resistance in the miller sweep (RC) is replaced by a diode. 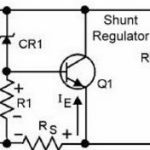 The diode forward resistance Rf helps the capacitor to charge quickly from VCC. Due to this playback time Tr of generated sweep is reduced. 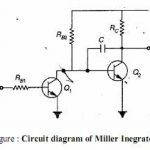 In this way the miller sweep circuit gives an excellent sweep linearity as compared to other sweep circuits.